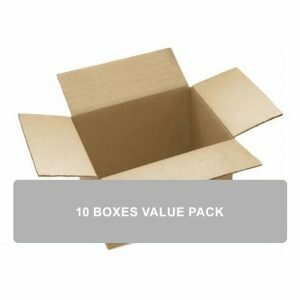 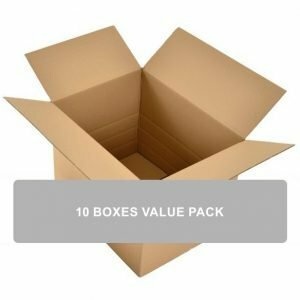 This product is a 10-Pack of our Archive Cardboard Boxes. 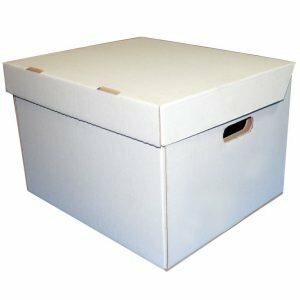 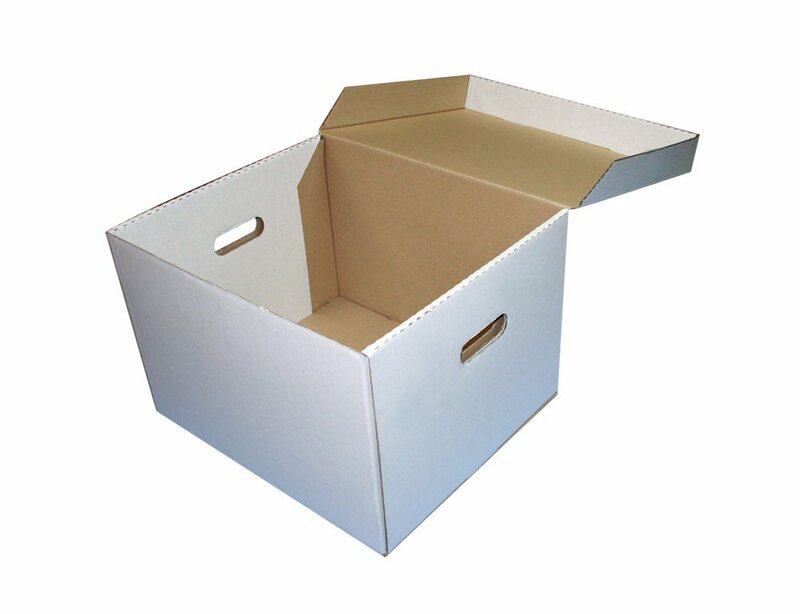 Heavy duty white single walled cardboard archive box. 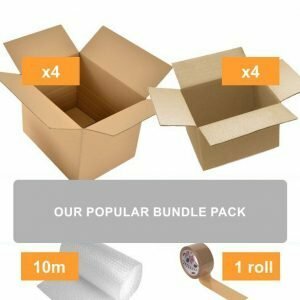 Made from single wall cardboard. 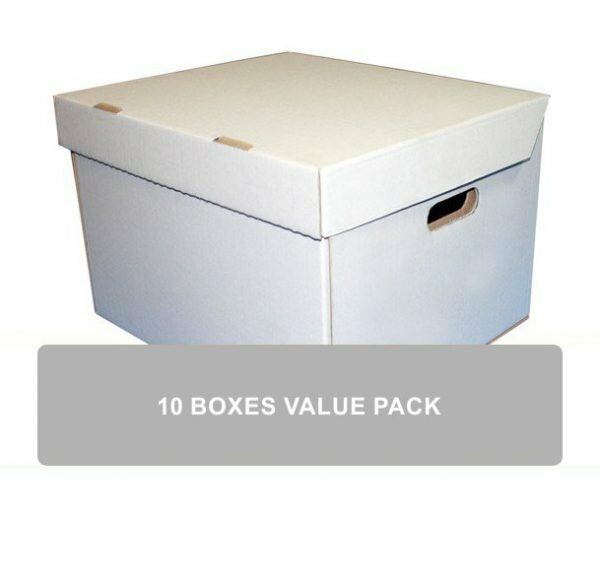 Suitable for heavy files, paperwork, CD’s, DVD’s and even glass and crockery.